Apple continues to expand its operations in Ireland, despite ongoing criticism of its presence there for tax purposes, with the company's international iTunes business now setting up shop in the town of Holyhill. In all, some $9 billion in assets have been moved from Luxembourg to Ireland, according to The Business Post. The shift is expected to net Ireland tens of millions of euro in value-added taxes. Apple's plans to relocate were first revealed last month, when the company revealed that its iTunes business and content stores for more than 100 countries will be managed at the campus in Holyhill. Previously, Apple's online businesses had been managed in Luxembourg since 2004. 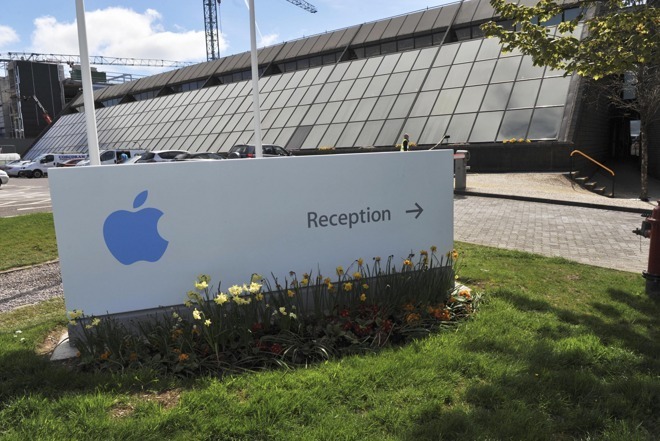 Apple employs nearly 6,000 people in Ireland. The company's operations there have come under intense scrutiny in recent years, with critics contending the nation's laws act as a tax haven for the iPhone maker. The European Commission recently concluded that Irish tax deals with Apple constituted illegal state aid, and ordered the country to collect $14.5 billion in back taxes from the Cupertino, Calif., company. Both Apple and the Irish government are planning to appeal the decision, the latter because it's worried about losing appeal with foreign businesses. Apple has already made commitments to stay in the country. Although the Irish government has since moved to close some loopholes, for many years Apple was able to funnel billions in international revenue and pay minimal taxes. In 2014, the iPhone maker paid just 0.005 percent on its European profits, a minute fraction of Ireland's standard corporate tax rate.